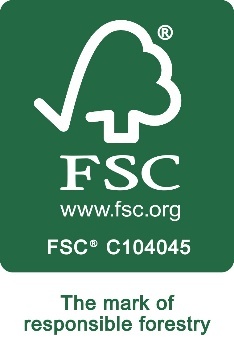 CJS are the only FSC® Certified pallet manufacturer in Ireland. Forest Stewardship Council® or FSC® is a global, not-for-profit organisation dedicated to the promotion of responsible forest management worldwide. FSC® works to improve forest management worldwide and through certification, creates an incentive for forest owners and managers to follow best social and environmental practices. The growing demand for FSC® certified products demonstrates that businesses and consumers prefer products from well managed forests. This incentive brings direct benefits to the forest, such as protecting biodiversity, indigenous peoples’ rights, worker’s rights, and areas of significant environmental or cultural importance. FSC® certification can positively impact workers and communities, shift governance processes globally and change economic and environmental conditions in the forest. This impact improves conditions such conflict over land tenure and use, worker’s health and safety, biodiversity conservation, protection of endangered species and participatory forest policy. By working to promote environmentally and socially beneficial forest management, FSC® helps both local communities and society at large to enjoy long-term benefits of managing forests in a responsible way. As the world’s most respected forest certification scheme, FSC® is a global system with certificates issued in all forest types around the world. When forest operations meet FSC® requirements, the materials and products carry the FSC® label and provide businesses and consumers with a powerful tool to influence how forests worldwide are managed.